What Are Solar Soft Costs? No one can deny that solar is quite an investment. After installation, system prices top out at around $25,000, which may be more than the down payment you put on your house! And while solar is worth it in the long-run—especially when you factor in federal incentives and utility credits—those initial numbers can give you some serious sticker shock. However, that $25,000 estimate is the average installed cost for solar—meaning once the panels are purchased, installed, and connected. So where exactly does all that money go? The answer, in short, is to solar “soft costs,” a collective name for the administrative fees, labor costs, sales taxes, and more—essentially anything you have to pay above your system’s sticker price. So what exactly are soft costs, and why do they cost so much? Let’s take a look! What Makes Up Your System’s Soft Costs? According to the Department of Energy, soft costs may make up as much as 64 percent of your system’s installation price, so they’re nothing to gloss over. In fact, if you’re buying an average-sized solar energy system, your soft costs could total up to $16,000 or more. Many of these so-called “soft costs” represent administrative fees and taxes—so you’d be hard-pressed to find an installer who will wave them. However, expect some relief to come soon: most installers are busily working to smooth out process inefficiencies that drive up costs on their end. Permitting Fees. The majority of municipalities require solar energy systems to be permitted and inspected by a city official to ensure that they conform to local building codes. And that permit comes at a price—the National Renewable Energy Laboratory estimates an assumed permitting fee of $400 per system, although that’s down $30 from the $430 assumed permitting price in 2012. However, to incentivize residents to invest in solar, some local governments do wave permitting fees. So if you live in a particularly energy-friendly neighborhood, this could be one place you save. Check with your local building department for more information, or use the Department of Energy’s Database of State Incentives for Renewables and Efficiency. Interconnection. Once a system is properly installed, it needs to be hooked up to the grid—a process called “interconnection.” The Department of Energy estimates that interconnection labor may make up as much as two percent of your final system cost. Again, though, some cities do wave interconnection fees for renewable energy systems. Sales Tax. Here’s another place you may be able to save some money. Although some states impose as much as six percent sales tax on solar panels and inverters, many offer sales tax exemptions as an incentive for homeowners purchasing solar equipment. Sales tax averages about six percent of total system costs, so it’s definitely something worth looking into! Transaction Costs. If you’re arranging for a solar lease or a loan to help you cover the cost of your system, you may find yourself subject to so-called transaction costs: fees leveraged by third-party lenders and leasing agencies to initiate the contract and cover administrative costs. According to NREL, these costs usually work out to about $0.05 per watt. If you choose to go with a solar lease with zero dollars down, the transaction costs will usually be rolled into your system payments. Installation Labor. Surprisingly, labor only makes up around 11 percent of your soft costs—that’s the price you must pay the contractor to actually mount and connect your system. 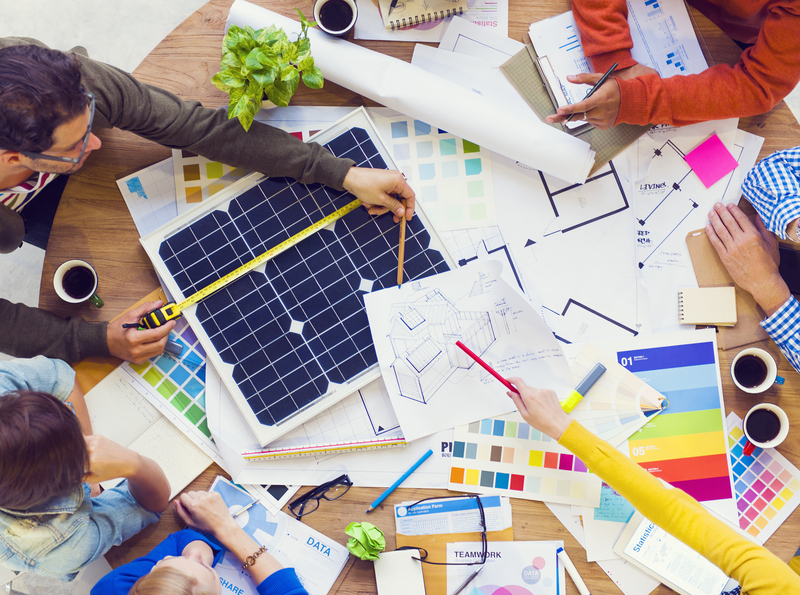 NREL estimates that labor for a residential installation averages around $0.55 per watt. Indirect Corporate Costs. Some of your system’s price goes to cover the installation company’s overhead—the cost of managing their offices, paying rent, salaries, insurance fees, and so forth. Right now, you can expect your installer to bake in about $0.27 per watt to your system’s price to cover corporate overhead, although this expense has been trending downwards as solar installers are able to more efficiently train installers and perform tighter site inspections. Installer Profit. The company that sells you the system needs to not only cover their overhead—they must make a small profit from each sale as well, in order to grow and maintain their business. The Department of Energy’s research shows that profits currently make up around nine percent of your system’s soft costs. Customer Acquisition. 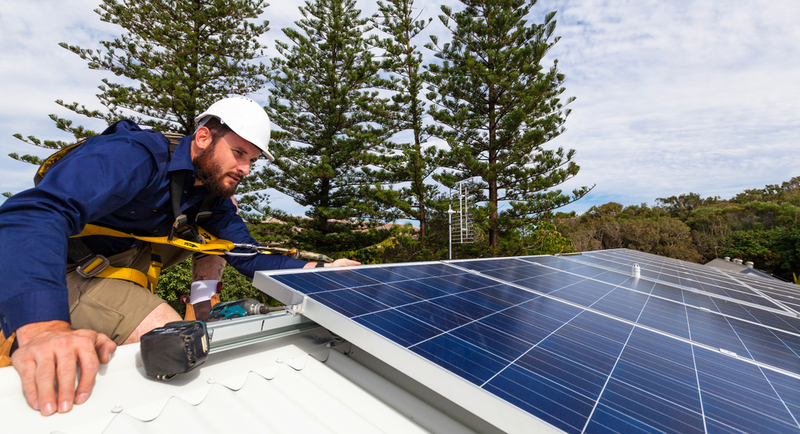 Your solar installer has to spend money to find and connect with customers like you, and they usually make back some of that cost in the price they charge you for your system and installation. Thankfully, as solar’s gotten more popular, this is one area where costs have dropped significantly. Supply Chain Costs. Another expense that usually gets passed down to the consumer through their system price is the amount that it costs your installation company to store and transport equipment, known collectively as the supply chain costs. Right now, supply chain expenses make up the biggest portion of solar soft costs, breaking down into around 12 percent of your system’s total cost. As with all things solar, experts predict that soft cost prices will continue to trend downward—making the total cost of solar drop precipitously in the years to come. Since solar is a relatively new industry, many of your installer’s resources and assets are spread out across different systems, meaning there’s a greater administrative burden involved in generating a quote and managing an installation. However, better training, resources, and management—such as the tools offered by the Department of Energy’s Sunshot program—should help both installers and customers get a more accurate, simplified window into their system costs and logistics of their installation. For instance, you can use the data compiled by the DOE’s Sunshot program when you visit our ModSun Solar Cost Calculator—and get a better feel for your system’s costs and your payment options. Anything that makes the process smoother will only save you money in the end!